Building a brand? 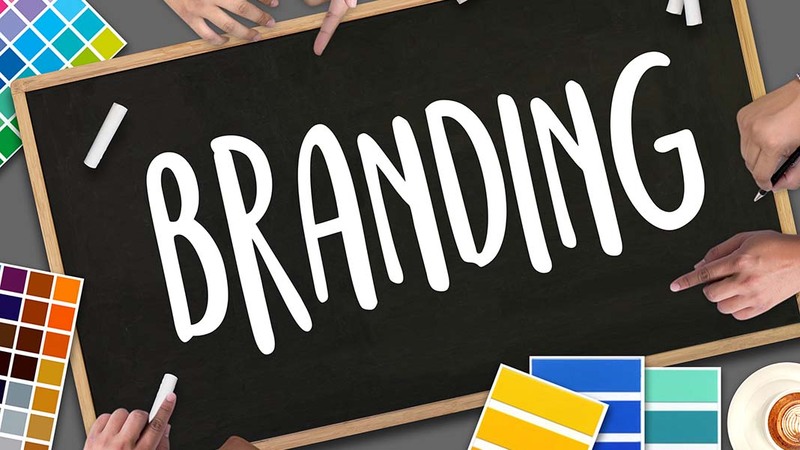 Use these tips and tricks to take advantage of today’s many advertising outlets and create cohesive branding online and offline. One the most important steps to creating cohesive branding online and offline is to develop a clearly-defined brand voice. Simply put, your brand voice is the way your brand talks. Like people, brands have different voices, different styles of talking. A clearly defined brand voice is one that’s both consistent and captivating. When your brand talks, you want people to listen. You also want people to understand, which means you want your brand’s voice to be clear and memorable. Don’t change voices randomly, and don’t settle for a weak voice that no one will remember. Here are a few tips for developing a clearly-defined brand voice. Know your audience. Building a brand voice is an endeavor that’s based largely on who’s listening. If your clientele consists mostly of professionals or deals with serious subject matter, your brand voice should reflect professionalism and a degree of seriousness. If “fun” is your industry, you want to show your customers that your brand reflects fun with language that is economic and lighthearted. Find your tone. While your audience and your business itself will dictate the general type of voice you are going for, you’ll have to find a more specific tone to fit your brand. For instance, there are several ways to talk professionally — and, on the opposite end of the spectrum, there are different types of humor. If your brand tone is professional, is it academic or more blue-collar? If your brand tone is humorous, is it simply lighthearted or more sarcastic? Considering these tone-based specifics will help you create a brand voice that’s both consistent and compelling. Talk it out. To ensure that your brand voice “works,” you’ll want to test it as much as possible. One of the best ways to do this is talk it out with your internal team before publishing. If your brand voice reads naturally and sounds good to those listening, it will likely work for your larger audience as well. As important as your brand voice is, it’s really only a piece of your branding puzzle. One other crucial piece is your brand’s visual identity. Your brand’s visuals are everything that your audience sees. Brand visuals include key advertising aspects such as logos, color schemes, design layouts and more. Investing in high-quality visuals will help catch your audience’s eyes and improve brand recognition overall. Here are few tips to consider when investing in visuals. Be different. If you want your brand to stand out, you don’t want to invest in visuals that too closely resemble the competition. This will cause your brand to be forgotten amidst a sea of mediocre media. Instead, be bold with your visuals. Choose different color schemes, fonts, and advertising avenues to stand out rather than simply fit in. Coordinate your colors. Like a great outfit, a brand’s color scheme should be cohesive. Choose striking colors that work well together—and, most importantly, stick to them. When you use the same colors for all of your media, your audience will begin to associate those colors with your brand. Purchase physical media. We may live in a digital age, but the power of physical media cannot be overlooked. Investing in high quality on-site signage will help attract customers to your storefront. If your business is traveling, purchasing essentials like pop-up canopy tents, banners, flags, and small branded merchandise will help your brand attract attention and gain exposure overall. Build a visual presence online. Every successful organization needs a powerful online presence. Help people interact with your brand on the Internet by building your visual presence through online ads, compelling social media and a winning website. Don’t settle for second best—hire the industry’s top web developers and graphic designers to tailor your brand’s visuals and take your online presence to new levels. In today’s market, there are more ways than ever to advertise. To build an audience, it’s important to establish your brand across each and every advertising channel out there. These channels include physical media, events, TV and radio appearances—and, of course, the many online channels, such as web advertising, social media, and a good old-fashioned website. To help your brand make waves in all of these channels, you want be sure that your branded channels are integrated. Integrating your channels not only means ensuring that your brand voice and visuals are consistent—it also means making your channels talk to each other. Reference your website and your social media on your billboards and other print media. Include calls-to-action and live updates in your social media posts. Integrate your channels for branding success. Josh McMahon is the Vice President of Extreme Canopy, America’s premier supplier of custom canopy tents. Extreme Canopy has been in the custom canopy tent business for over 15 years. During this time Extreme Canopy has built a reputation of producing only the highest quality products.